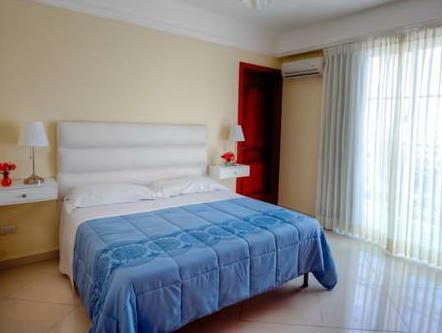 ﻿ Best Price on Hotel Shakey in Santo Domingo + Reviews! Just 49 feet from the oceanfront promenade, Hotel Shakey is located in the Santo Domingo district that hosts most of the bars and nightlife entertainment. It offers free Wi-Fi and parking is available on site. The apartments feature either one or two bedrooms, private bathrooms with tubs, and ceiling fans. 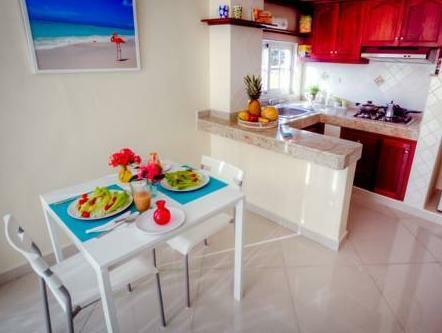 They have a kitchen and a balcony, and satellite TV is also available. Guests will find different restaurant options within a 1.2 mi radius from Hotel Shakey. The Crown Plaza Hotel is 656 feet from the apartments, plus the colonial district is 1.2 mi away. To reach Las Américas International Airport guests will have to take a 20-minute drive. The closest beach is a 30-minute drive.